Hello Sober Julie readers! I’m Stacie from the lifestyle blog, Simply Stacie and I’m crazy about DIY beauty. I share a ton of easy beauty recipes over on my blog already and now I’m going to share some fun stuff with all of you too. I love making my own scrubs. First off, it’s super easy to do with only a few basic ingredients that don’t cost a fortune. Secondly, it’s a chance for you to let your creativity shine through. Who knew that DIY beauty could get the creative juices flowing, but it sure can! And lastly, scrubs make wonderful gifts. Grab some twine and a gift tag to fancy it up and you’ve got yourself a lovely gift. 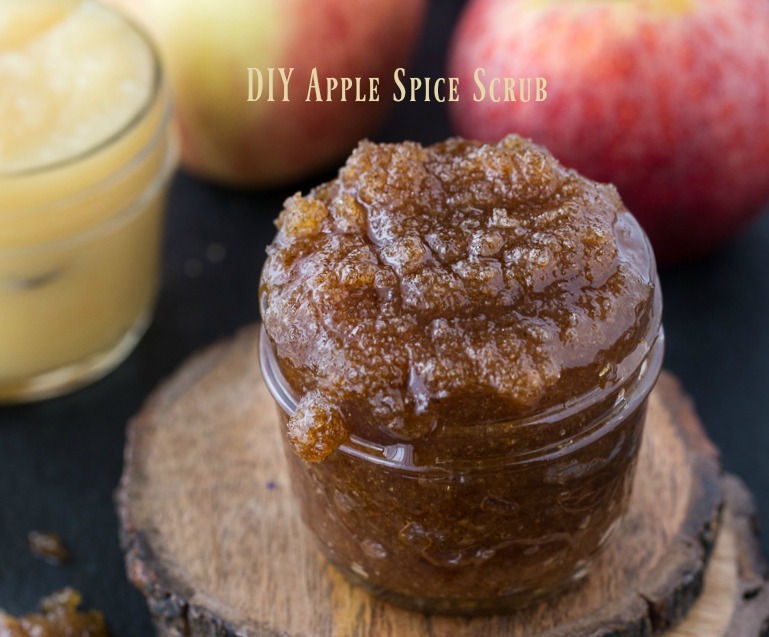 This Apple Spice Scrub is perfect for fall. It’s made with the basic scrub ingredients: natural raw sugar and a carrier oil (I used almond oil here). Then I added in some unsweetened applesauce and my own apple pie spice mix to give it a nice sweet, spicy scent. Making it is literally dumping all the measured ingredients into a bowl and stirring. Yes, it’s that easy. I recommend storing it in a mason jar in the fridge since it contains a food product (applesauce). 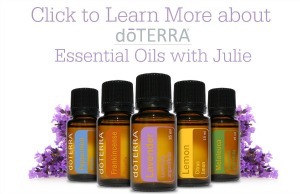 Use it up within a month for optimal freshness. Bring the jar with you in the shower to use as a body scrub. 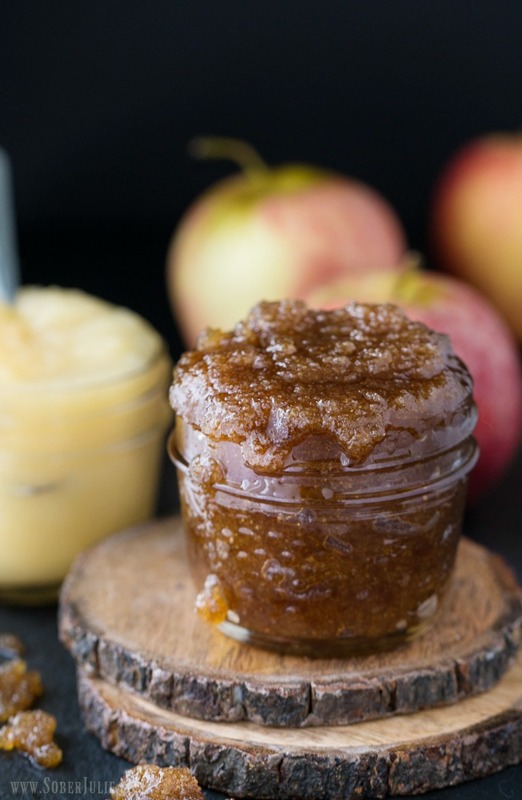 The grittiness of the sugar makes a great exfoliator to slough off dead skin. Your skin will feel so soft and smooth afterwards. Add ingredients to a bowl and stir to combine. Place in a mason jar for storage. Store in the fridge and use within 1 month. Bio: Stacie is the mom of two girls and lives in Ontario, Canada. She enjoys cooking/baking, photography, reading, DIY and is fueled by lots of coffee!